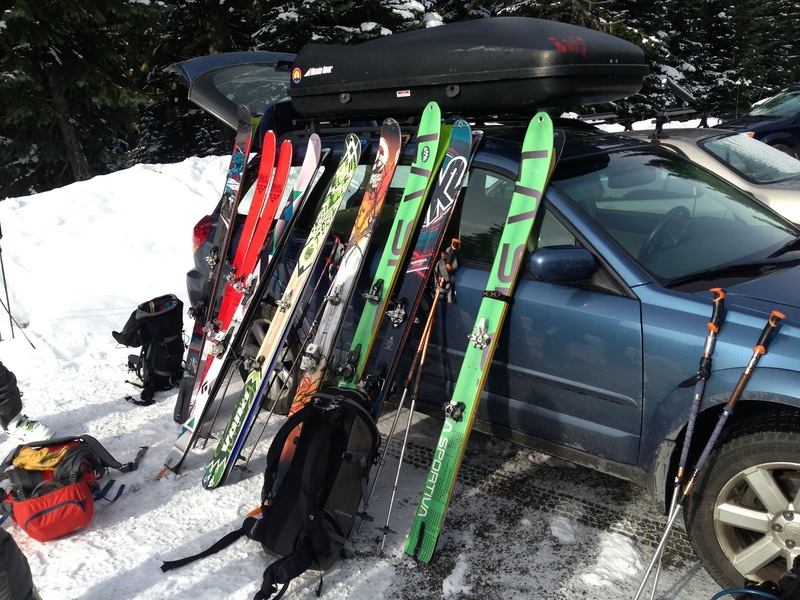 Athletic.Authentic.Wild: AMGA Ski Exam, BC, Canada. AMGA Ski Exam, BC, Canada. It's done. Since 2007 I have been pursuing AMGA dreams. 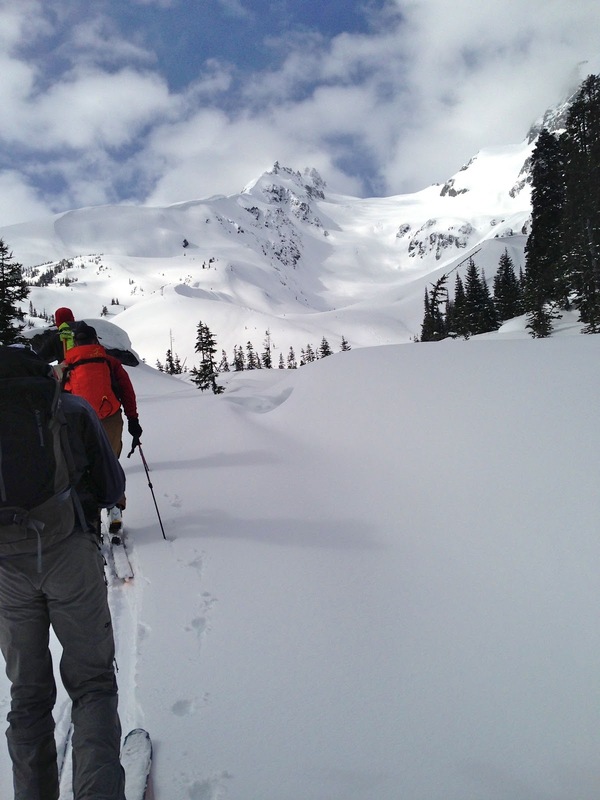 The American Mountain Guides Association trains and certifies guides. Just a couple weeks ago I successfully completed the final Ski Exam. In doing so, and having already passed similar exams on Rock and Alpine terrain, I have earned full "internationally-recognized" certification. The International Federation of Mountain Guide Associations recognizes this trilogy of credentialing as the pinnacle of formal guide training. I just joined a list of 90 guides here in the United States with this level of vetting. Whoohoo is an understatement. It is not, in the least, anticlimactic. I am beyond thrilled and still regularly experience that rush of contentment and relief. Day 1, Cayoosh North Glacier, Duffy Lake Road, Coast Range. 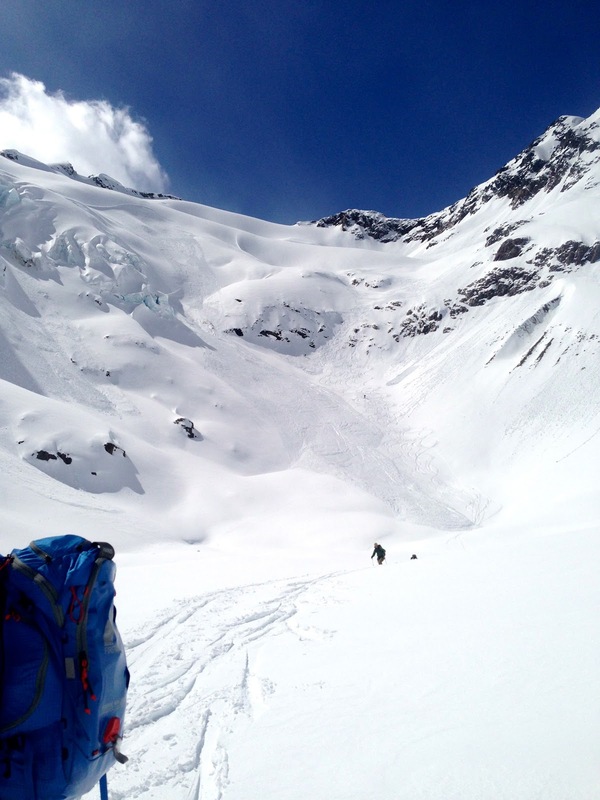 My first leg of my first ski exam puts me leading the group down this amazing glacier descent. 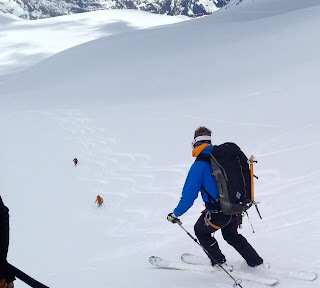 I choose the more aggressive option, hugging close to the crevassed zone for steeper and more engaging skiing. With effective micro-management of the terrain there is a line through here that avoids crevasse and avalanche hazard. But I failed to follow that line. And triggered this slide while my group waited safely above. I scooted off to the side and got out of the way safely. Poor score number one: Marginal score for terrain selection. The slide ran 300 vertical meters, all pictured here. I pulled out to a safer zone partway through , in sight of my group, after having triggered the slab. The plan I had outlined to the group no longer worked. However, rather than adapting and crafting a new plan for getting my group down, I stood there like an idiot. I eventually got it together, but that initial non-reaction was unfortunate. Poor score number 2. This time in the "Mountain Sense" category. 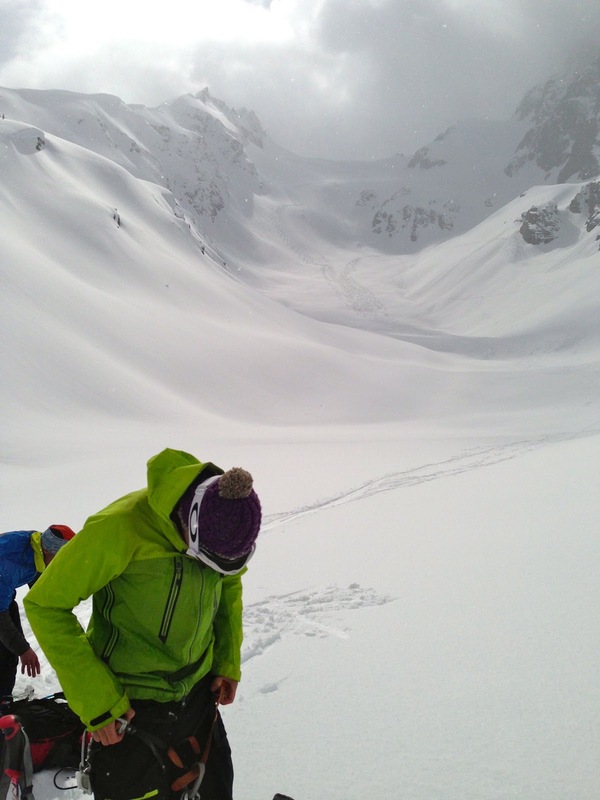 Crevasse rescue drill on the lip of a growing cornice. Spindrift city. Getting prussiks to grip, challenging. 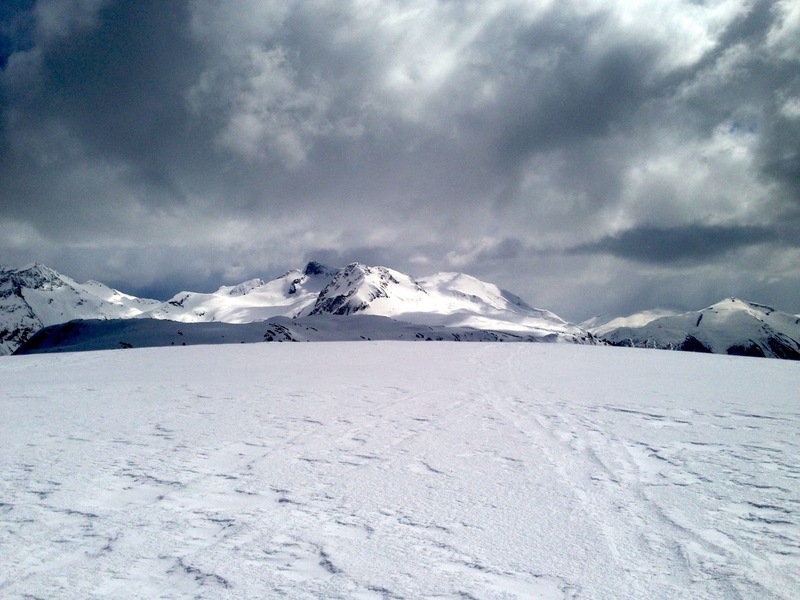 More dark skies and bright snow. Technical entrances on "Disease Ridge", Blackcomb BC, BC. We're all the same. mid-fat skis, dynafits, subarus. Anniversary Glacier, Duffey Lake Road. 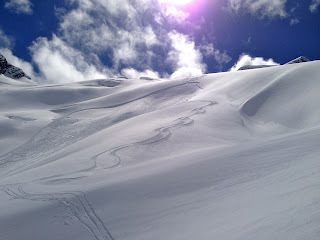 Anniversary, tracked up. 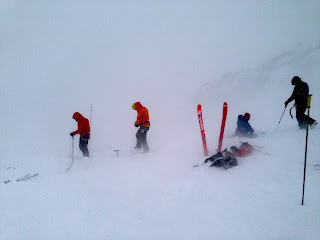 Expecting father and fellow, new IFMGA guide Andrew Councell in green. Sunrise from the Diavolo Glacier, Spearhead Traverse, BC, Canada. 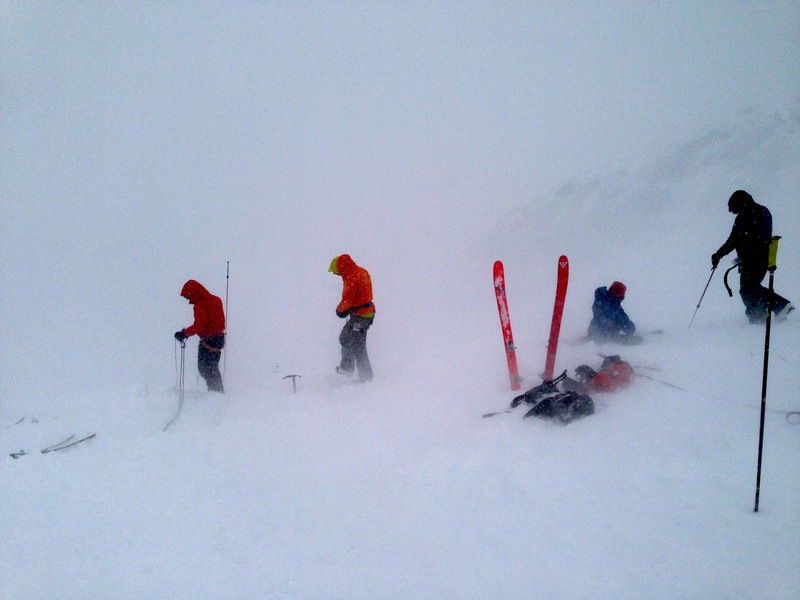 Gang skiing coast range pow. "The Don" Carpenter dropping into steeper terrain. Spearhead Traverse. Even a television-awards-show-style acknowledgements speech would seem inadequate. I've been at this certification process long enough to have been married and divorced, lost most of my hair, and traveled to every corner of North America's orographic atlas. However, there are a few common themes in the support I have taken advantage of. First of all, the mentorship. 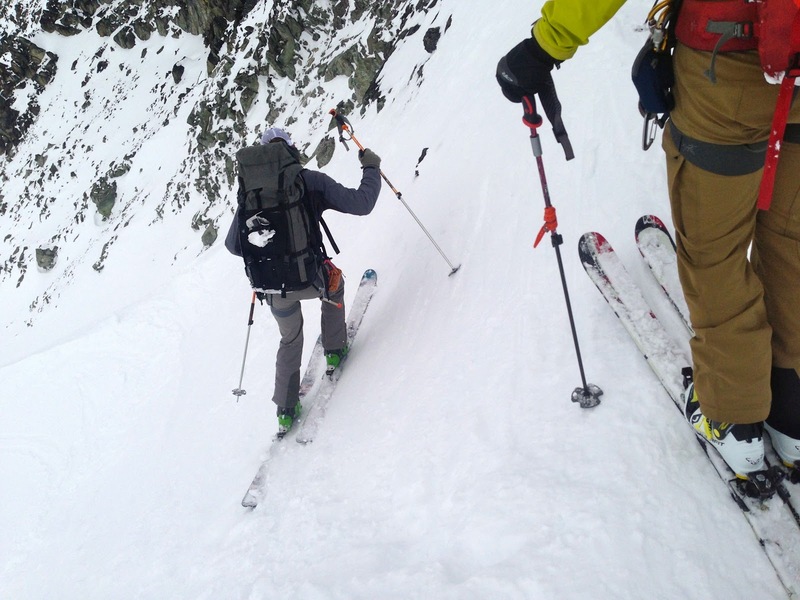 Sierra Mountain Guides employers Neil and Howie have been here from the beginning. They dumped a great deal of thought, energy, and care into shepherding me through this process. All that, and I go and "thank" them by increasing my payroll cost. In all seriousness, these two guys are doing the good and hard work of increasing the viability of the mountain guiding career, simply by living their values and recognizing the inherent professionalism required. These two put in their own formal-training careers and raise the bar every day for those of us coming up. Next, the family. By design, my family and I have kept some distance between them and the nuts and bolts of mountain guiding and travel realities. 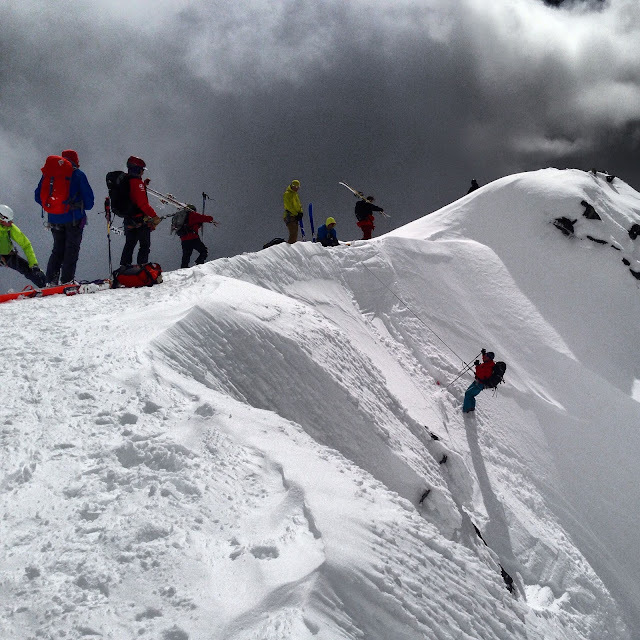 Mom's can only hear about so many avalanches or altitude headaches. However, my folks fake an interest in the gritty truth better than most. They are the first ones I called with the news. Additionally, I couldn't leave out Paul. For 7 years of my most impressionable and valuable mountain apprenticeship I lived in Bishop's Zoo. Paul Rasmussen owns this house of ill repute. He shelters (inexpensively, to say the least...) climbers aspiring to great things. My aspirations focused on guiding, and the Zoo "sending scholarship" got me a long way through the early parts of that journey. Finally, the posse of clients and fellow guides that I put through the paces while "training". It is a strange state of affairs here in the United States. I, or anyone else, can take lots of money from a client without any formal training or certification. It is my opinion that my self-directed path through AMGA courses and exams made what I had and have to offer paying guests of greater value than the average untrained guide. However, it is a learning process. Additionally, many of my best friends are guides themselves. There are those ahead of me in the process, and those somewhere behind me. All had something to offer, from simply climbing or skiing together all the way to days and days of formalized rescue practice. Wow, only 90 in the states? That's crazy, didn't realize it was such a select few. Nice work man. Btw, Chief already did this twice back in 1974. out!